We had an amazing weekend at Musikfest! Big thanks to Martin Guitar for letting us use their beautiful guitars for our acoustic set on Friday at Yuengling Lagerplatz, and a very special thank you to Freedom High School in Bethlehem for inviting us to FHS at the Fest at Plaza Tropical on Saturday! And a huge thank you to all of you that came out to listen and support us! The success of the weekend is all due to you. We hope to see you again down the road real soon! We had an awesome night at Woody’s Ale House & Grille in our hometown of Towanda last night! Big thanks to Woody’s and Kevin West for having us again this year, and thanks to everyone who came out to rock with us! We hope to see you again real soon! 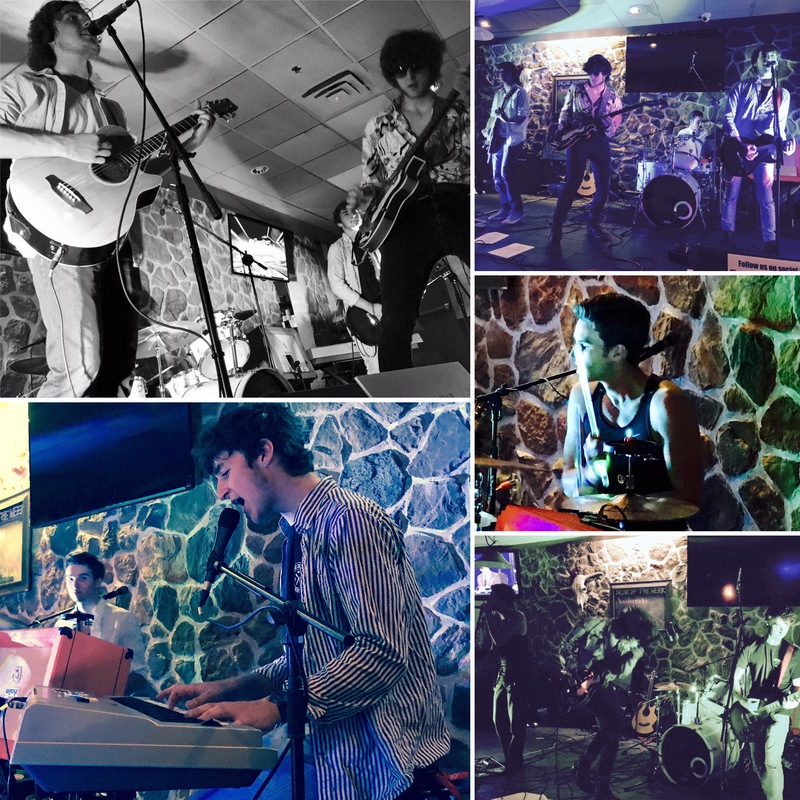 We had an awesome night at Denny’s Hot Rod Bar and Grill in Cressona, PA, last night! Big thanks to all of you that came out and another big thanks to Denny’s for having us again! We hope to see you again real soon! Another great night at Grovedale Winery last night! Thanks so much for having us again, and a big thank you to all of you who came out to hear us! We had a great time last night. Keep your eyes open. We may return sooner than you think! Big thanks to the youth of the YMCA of Allentown, the staff, and parents for showing us you know how to rock on a Friday morning! We had a blast! Also, thank you to the YMCA and MaryAnn Muffley for having us! See you at Musikfest! On July 15 and 16, Grapefruit Cannonball stepped into Midnight Studios in Easton, PA, with award-winning and highly-acclaimed producer Andrew Chervak. Stay tuned for updates and the debut of the band’s first official single, Bang Bang Bang. You don’t want to miss it! We have some additional shows to add to our schedule! On Friday, July 21, 10:00 AM, we’ll be playing at the YMCA in Allentown, PA! Members and their parents are invited to attend this special event for the youth of the Lehigh Valley. We’ll be home in Towanda at Riverfront Park for a night of music next to the Susquehanna River on Thursday, August 17! Come out and join us at 7:00 PM for some good music under the pavilion. We’ll be supporting Autism Speaks again on Saturday, August 26, at 2:00 PM, at the Jacksonian Club in Nazareth, PA! Be sure to come out and support this great cause and listen to a special acoustic set by us. Jabber Jaws in Allentown, PA, can’t get enough of us! We’ll be back again for a fun night on Saturday, October 7, at 9:00 PM. It’s going to rock! And in case you missed it, we’ll be back at MorZac’s Mountainhouse in New Albany, PA, on Saturday, December 30, at 9:00 PM! We can’t wait to go back! Don’t think that’s it! Keep your eyes open for more additions to our schedule. Big thanks to MorZac’s for having us last night! We had an awesome time and can’t wait to come back on Saturday, December 30, to see you again! Mark your calendars. It’s going to rock! Riddle Ale House rocked last night! Thanks so much for having us, and a big thank you to all of you that came out to rock with us! We hope to see you again real soon! Awesome night, Denny’s! Thanks for having us, and thanks to everyone who came out to see us! We can’t wait to come back on July 29 for another rockin’ night! If you missed it, you better come next time!